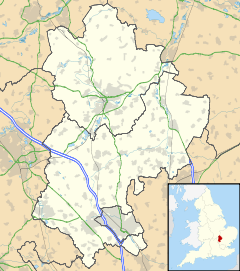 Leighton Buzzard (/ˈleɪtən ˈbʌzərd/ LAY-tən BUZ-ərd) is a town in Bedfordshire, England, near the Chiltern Hills and lying between Luton and Milton Keynes. It adjoins Linslade and the name Leighton Linslade is sometimes used to refer to the combination of the two towns; parts of this article also apply to Linslade as well as Leedon. Leighton Buzzard Children's Theatre, run by Sally and David Allsopp, has been based in Heath and Reach since 1992. The group has raised over £90,000 for various charities through musical theatre and drama productions starring local children aged 4 - 18 who regularly perform at the local Library Theatre and School Theatres. Leighton Buzzard is represented by the sporting teams of Leighton Town F.C. who play football in the Spartan South Midlands Football League. Also at the Bell Close Site are Leighton Buzzard Tennis Club who have been a part of the town since the 1930s. Leighton Buzzard Hockey Club established in 1901, play field hockey and run 4 Men's and 4 Ladies teams of all ability. The Men's teams play in the South Hockey League and the Ladies teams play in the 5 Counties Hockey League. Leighton Buzzard Hockey Club also have junior sides; starting age of 5. Leighton Buzzard R.F.C. play rugby union in South West 1 East and the Ladies rugby team play in NC South East North 2. Leighton Buzzard Golf Club was established in 1905 and there is also an active running club, Leighton Buzzard Athletics Club. Established in 2011 Leighton Buzzard Road Cycling Club is a cycling club for riders of all abilities. Their race team LBRCC-Solgar compete in local, as well as national, cycling events. Established in 2000, Leighton Linslade Croquet Club ( www.leightonlinsladecroquet.org.uk), a member of the Croquet Association, have three croquet lawns in Pages Park next to the pavilion. The club takes part in many national croquet competitions and is a member of the East Anglian Croquet Association (EACF). Brooklands Middle School – a school near the south east edge of the town. Gilbert Inglefield Academy – next door to Vandyke Upper School. Leighton Middle School – in the centre of the town, Mary Norton, who wrote 'The Borrowers' books, lived there in her childhood. Linslade Middle School – Situated over the road from Cedars. Cedars Upper School – Located on the west edge of town, adjoined to Tiddenfoot Leisure Centre. Cedars was once a grammar school. Vandyke Upper School – Situated on the east edge of town, on Vandyke Road. As of late 2006, the school has been undergoing a £2½ million refurbishment. Oak Bank School – located on Sandy Lane. Leighton Buzzard is close to the M1 motorway and A5 road, and is served by Southern and West Midlands Trains services on the West Coast Main Line railway at Leighton Buzzard railway station (in Linslade). The Grand Union Canal runs through the town, alongside the River Ouzel. Leighton Buzzard is served by the F70 bus route, operated by Arriva Shires & Essex, which provides a direct Bus rapid transit service to Luton via the Luton to Dunstable Busway, with an onward connection to Luton Airport. Since 2014 it has had its own brewery. In the west, Linslade has merged with Southcott. Leighton Buzzard is expanding eastwards: 2,500–4,500 homes including 35% affordable housing are planned for east Leighton Buzzard for the Luton/Dunstable/Houghton Regis growth area and 900 homes including 35% affordable housing are being considered west of Linslade. Leighton Buzzard now encompasses RAF Stanbridge and the former hamlet of Leedon. The town is expanding southwards, with the development of sites in Southern Leighton Buzzard through the Southern Leighton Buzzard Development Brief. It is also expanding eastwards, with several developments forming the Eastern Leighton Linslade Urban Extension Scheme. Baron Ferdinand de Rothschild (1839–1898) lived in Leighton House in the High Street (demolished in 1959 for the Co-op furniture store, but now the site is occupied by Wilkinson's) before building and moving to Waddesdon Manor. ^ "Our Building – All Saints Leighton Buzzard". allsaintslb.org.uk. Retrieved 13 February 2015. ^ "Leighton Buzzard Hockey Club". www.pitchero.com. ^ "South Hockey League - Welcome". www.south-league.com. ^ Administrator. "Welcome to the 5 Counties Women's Hockey League". www.5counties.co.uk. ^ "LBRCC". Members.lbrcc.co.uk. Archived from the original on 18 April 2013. Retrieved 4 April 2013. ^ "Averages for Leighton Buzzard". ^ "Ofsted – Leighton Middle School". ofsted.gov.uk. Retrieved 13 February 2015. ^ "Routes & Timetables". Busway. Luton Borough Council. Retrieved 7 July 2017. ^ "Bus timetables and bus routes". centralbedfordshire.gov.uk. Central Bedfordshire Council. Retrieved 7 July 2017. ^ "Craft Beer | Bedfordshire | Leighton Buzzard Brewing Company". Leighton Buzzard Brewery. Retrieved 4 February 2018. ^ Bedfordshire County Council, Urban Area Profile for Leighton Linslade Archived 12 February 2012 at the Wayback Machine. ^ Central Bedfordshire Council, Population of Central Bedfordshire Archived 10 December 2010 at the Wayback Machine. ^ "Southern Leighton Buzzard -". www.slb.uk.com. ^ 546000, Customer services, Town Hall, George Street, Luton, Bedfordshire, LU1 2BQ. Tel: 01582. "CMIS > Home". agendas.luton.gov.uk. ^ Dunn, Matthew. "Charlotte Dujardin's lost days at school". Express.co.uk. Retrieved 11 August 2012. Wikivoyage has a travel guide for Leighton Buzzard. "Leighton Buzzard" . Encyclopædia Britannica. 16 (11th ed.). 1911.